Michael Laurence Nyman, CBE (born 23 March 1944) is an English composer of minimalist music, pianist, librettist and musicologist, known for numerous film scores (many written during his lengthy collaboration with the filmmaker Peter Greenaway), and his multi-platinum soundtrack album to Jane Campion's The Piano. He has written a number of operas, including The Man Who Mistook His Wife for a Hat; Letters, Riddles and Writs; Noises, Sounds & Sweet Airs; Facing Goya; Man and Boy: Dada; Love Counts; and Sparkie: Cage and Beyond. He has written six concerti, five string quartets, and many other chamber works, many for his Michael Nyman Band. He is also a performing pianist. Nyman prefers to write opera rather than other forms of music. Nyman was educated at the Sir George Monoux Grammar School, Walthamstow. He studied at King's College London and was accepted at the Royal Academy of Music in September 1961, studying with Alan Bush and Thurston Dart, focusing on piano and seventeenth-century baroque music. He won the Howard Carr Memorial Prize for composition in July 1964. In 1965–66 Nyman secured a residency in Romania, to study folk-song, supported by a British Council bursary. In 1969, Nyman provided the libretto of Harrison Birtwistle's opera Down by the Greenwood Side and directed the short film Love Love Love (based on, and identical in length to, the Beatles' "All You Need Is Love") before settling into music criticism, where he is generally acknowledged to have been the first to apply the term "minimalism" to music (in a 1968 article in The Spectator magazine about the English composer Cornelius Cardew). He wrote introductions for George Frideric Handel's Concerti Grossi, Op. 6 and interviewed George Brecht in 1976. Among Nyman's other works are the opera Noises, Sounds & Sweet Airs (1987), for soprano, alto, tenor and instrumental ensemble (based on Nyman's score for the ballet La Princesse de Milan); Ariel Songs (1990) for soprano and band; MGV (Musique à Grande Vitesse) (1993) for band and orchestra; concertos for saxophone, piano (based on The Piano score), violin, harpsichord, trombone, and saxophone & cello recorded by John Harle and Julian Lloyd Webber; the opera The Man Who Mistook His Wife for a Hat (1986), based on a case-study by Oliver Sacks; and five string quartets. In 2000, he produced a new opera on the subject of cloning on a libretto by Victoria Hardie titled Facing Goya, an expansion of their one-act opera Vital Statistics. The lead, a widowed art banker, is written for contralto and the role was first created by Hilary Summers. His newest operas are Man and Boy: Dada (2003) and Love Counts (2005), both on libretti by Michael Hastings. In the 1970s, Nyman was a member of the Portsmouth Sinfonia – the self-described World's Worst Orchestra – playing on their recordings and in their concerts. He was the featured pianist on the orchestra's recording of Bridge Over Troubled Water on the Martin Lewis-produced 20 Classic Rock Classics album on which the Sinfonia gave their unique interpretations of the pop and rock repertoire of the 1950s–1970s. Nyman created a similar group called Foster's Social Orchestra, which specialised in the work of Stephen Foster. One of their pieces appeared in the film Ravenous and an additional work, not used in the film, appeared on the soundtrack album. In October 2009, Nyman released The Glare, a collaborative collection of songs with David McAlmont, which cast his work in a new light. The album – recorded with the Michael Nyman Band – finds McAlmont putting lyrics based on contemporary news stories to 11 pieces of Nyman music drawn from different phases of his career. He was married to Aet Nyman and has two daughters, Molly and Martha. His first string quartet quotes "Unchained Melody" in homage to Aet, who appears in Greenaway's The Falls, for which he also composed music. Molly is also a composer and in collaboration with Harry Escott has written several film scores including for The Road to Guantanamo by her father's frequent collaborator, Michael Winterbottom. Martha is a development researcher for the BBC. 1961–67 – Studies at the Royal Academy of Music and King's College London. 1968–78 – Works as a music critic (becoming the first person to apply the word "minimalist" to music). 1976 – Founds the Campiello Band (now the Michael Nyman Band) and embarks on an eleven-film collaboration with Peter Greenaway. 1981 – Releases first Michael Nyman Band album. 1993 – Soundtrack for The Piano wins an Ivor Novello Award, Golden Globe, BAFTA and American Film Institute award and goes on to sell over three million copies. 2002–2005 – Composer-in-Residence at Badisches Staatstheater in Karlsruhe, Germany, who performed three Nyman operas and more tunes for his daughters. 2007 – Performed on 7 July from Kyoto, Japan as part of the Live Earth global environmental awareness musical event. 2015 – Live performance of Dziga Vertov's Man with a Movie Camera at the Potemkin Stairs. The show was part of the 6th Odessa International Film Festival and gathered approximately 15,000 spectators. In 2015, he was awarded the Golden Duke for Lifetime Achievement, the special award of the 6th Odessa International Film Festival. 1991 – The Michael Nyman Songbook A collection of songs based on texts by Paul Celan, Wolfgang Amadeus Mozart, William Shakespeare, and Arthur Rimbaud and recorded with vocalist Ute Lemper. 1998 – Titch (worked on the main opening/closing piano theme). Nyman's "The Heart Asks Pleasure First" (from The Piano) is the music on which Italian rock noir band Belladonna's song "Let There Be Light" is based. Released in December 2010, the track features Michael Nyman himself on piano. Nyman's "The Heart Asks Pleasure First" (from The Piano) was used as backing music for one of the bank advertisements for Lloyds TSB broadcast on television. It has also been featured in episodes of 20/20. Music from Ravenous has been used at least once on WFYI's Across Indiana, in a segment titled "On the Trail of John Hunt Morgan", produced by Scott Andrew Hutchins. Nyman's soundtrack for Carrington is mostly based on his own String Quartet No. 3. Nyman's music for Peter Greenaway's films has been used in the Japanese television program Iron Chef. Popular "Chasing Sheep is Best Left to Shepherds" (from The Draughtsman's Contract) constituted the main theme of Spanish TV program Queremos Saber, presented by Mercedes Milà in the nineties. In 2013, it was sampled in the Pet Shop Boys single "Love Is a Bourgeois Construct", produced by Stuart Price. Nyman features in '9 Songs' (Michael Winterbottom, 2004) playing at the Hackney Empire on his 60th birthday. Nyman's MGV: Musique à grande vitesse was used in November 2006 for a new one-act ballet for the Royal Ballet in London, DGV (danse à grande vitesse) by Christopher Wheeldon. Nyman's "The Heart Asks Pleasure First" was covered by the Finnish symphonic metal band Nightwish. Nyman had refused to release the song initially; the band was later granted permission and the song was released on 29 February 2012 as part of the single The Crow, the Owl and the Dove from their album Imaginaerum. Selections from Nyman's catalogue formed part of the soundtrack for James Marsh's 2008 documentary, Man on Wire, a film about Philippe Petit, a Frenchman, who in 1974 illegally strung a tightrope between the top of the WTC buildings and danced between them for 45 minutes, thus committing the "artistic crime of the 20th century". Nyman's soundtrack for Wonderland has been used as part of the soundtrack for Juan Rodriguez-Briso's 2014 documentary film, Eighteam based on the true story of the Zambian national football team and its journey from tragedy to glory. In addition to his composing and ﬁlm-making activities, Nyman has a full international touring schedule with the Michael Nyman Band as well as a series of unique one-off performances with a variety of collaborators, including musicians from outside the western/classical/experimental traditions such as the Orqestra Andalusi de Tetouan, Rajan and Sajan Misra, U. Shrinivas, Estrella Morente, Seijin Noborakawa, Ute Lemper, Evan Parker, Peter Brotzmann, Paolo Fresu, Mike Giles, the Flying Lizards, Dagmar Krause, Sting, Damon Albarn, David McAlmont and Alva Noto . 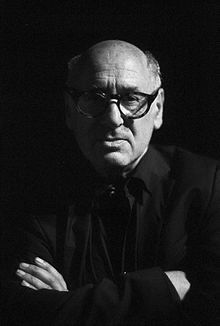 ^ "Michael Nyman – Interview by John Leeman- December 2005 MusicWeb-International". Musicweb-international.com. 7 November 2005. Retrieved 10 August 2014. ^ Pwyll ap Siôn. (2007.) The Music of Michael Nyman: Texts, Contexts and Intertexts, Ashgate Publishing, Farnham. ^ Anstead, Mark (8 May 2011). "Michael Nyman on fame and fortune". The Telegraph. ^ "On the road with Michael Nyman". Limelightmagazine.com.au. 17 May 2011. Retrieved 10 August 2014. ^ "Music – Soundtracks – Titch". Michael Nyman. Archived from the original on 17 May 2014. Retrieved 10 August 2014. ^ "Michael Nyman: Through The Only Window — String Quartet & Piano (Score/Parts) – String Quartet/Piano Chamber Score and Parts — Sheet Music & Songbooks". Musicroom.com. Retrieved 31 May 2014. ^ "Music Sales Group — The Music Sales Catalogue". Musicsales.com. Retrieved 31 May 2014. ^ "Michael Nyman Through The Only Window (Music CD) – by Ahae Products". Ahaeproducts.com. Retrieved 31 May 2014. ^ Alberge, Dalya (23 June 2013). "Rich Korean recluse hires the LSO to blow his trumpet". The Sunday Times. Retrieved 1 June 2014. ^ "News — Nyman Symphony No 6 premiere". Music Sales Classical. 6 September 2013. Archived from the original on 22 May 2014. Retrieved 31 May 2014. ^ The Music Sales Group. "Michael Nyman Symphony No. 6 "AHAE" Premier". The Music Sales Group. Archived from the original on 22 May 2014. Retrieved 22 May 2014. ^ "Biographie En". Nicolasbacri.net. Retrieved 31 May 2014. ^ "MAN WITH A MOVIE CAMERA AND MICHAEL NYMAN AT THE POTEMKIN STAIRS". Odessa International Film Festival. Archived from the original on 5 February 2016. ^ "No. 58729". The London Gazette (Supplement). 14 June 2008. p. 8. ^ "Honorary Degrees for Sir Antony Sher, Michael Nyman and Professor Sir Alec Jeffreys". .warwick.ac.uk. Retrieved 10 August 2014. ^ "AWARD WINNERS 2015". Odessa International Film Festival. Archived from the original on 22 November 2015. ^ Originally recorded by Nyman, Ned Sublette, Susan Krongold, Barbara Benary, Jon Gibson, Richard Cohen, Virgil Blackwell, Peter Zummo, and Peter Gordon at The Kitchen, and intended for Peter Greenaway's short film, The Tree. ^ "Press Coverage". Michael Nyman. Archived from the original on 19 July 2014. Retrieved 10 August 2014. ^ "Home". Michael Nyman. Retrieved 13 May 2018. Wikimedia Commons has media related to Michael Nyman.